Most of the journal articles and book chapters are available for download on Researchgate and Academia.edu. Or just feel free to ask me for electronic copies. Your comments are always welcomed. Ooi, Can-Seng; Håkanson, Lars; and LaCava, Laura. 2014. "Poetics and politics of the European Capital of Culture project", Procedia - Social and Behavioral Sciences. Vol 148, 420-427. DOI: 10.1016/j.sbspro.2014.07.061. Download. Ren, Carina; and Ooi, Can-Seng. 2013. "Auto-communicating micro-Orientalism: articulating 'Denmark' in China at the Shanghai Expo". Asia Europe Journal. Vol 11, No. 2, 129-145. DOI: 10.1007/s10308-013-0346-6. Access. Ooi, Can-Seng. 2011. "Subjugated in the creative industries: The fine arts in Singapore", Culture Unbound: Journal of Current Cultural Research, Vol. 3, 119-137. Downlad. Ooi,Can-Seng. 2010. "Political pragmatism and the creative economy: Singapore as a City for the Arts", International Journal of Cultural Policy, Vol. 16, No. 4, 403-417. Access. Ooi,Can-Seng. 2008. "Reimagining Singapore as a creative nation: The politics of place branding", Place Branding and Public Diplomacy, Vol. 4, 287-302. Ooi, Can-Seng. 2007. "Un-packing packaged cultures: Chinese-ness in International Business", East Asia: An International Quarterly, 24(2): 111-128. Access. Ooi, Can-Seng and Juliette Koning. 2007. "The business of identity", East Asia: An International Quarterly, 24(2): 107-110. Access. Gomez, James and Can-Seng Ooi. 2006. "Stability, Risks and Opposition in Singapore", Copenhagen Journal of Asian Studies, 23-2006, 5-7.Download. Ooi, Can-Seng. 2005. "State-civil society relations and tourism: Singaporeanizing tourists, touristifying Singapore", SOJOURN: Journal of Social Issues in Southeast Asia, Vol. 20, No. 2, 249-272. Access. Ooi,Can-Seng and Hing Ai Yun. 2005. "Changing Asia", Copenhagen Journal of Asian Studies, No. 20, 4-7. Download. Ooi, Can-Seng. 2002. "Persuasive histories: decentering, recentering and the emotional crafting of the past", Journal of Organizational Change Management, Vol. 15, No. 6, 606-621. Ooi, Can-Seng. 2015. "Soft power, tourism". In Jafari, J. and Xiao, H. (eds.) Encyclopedia of Tourism, Springer. DOI: 10.1007/978-3-319-01669-6_184-1. Access. Ooi, Can-Seng. 2015. "Intercultural management". In Dahlgaard-Park, Su Mi (ed.) 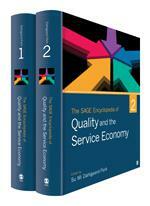 The SAGE Encyclopedia of Quality and the Service Economy, London: SAGE. 322-328. Ooi, Can-Seng. 2014. "The making of the copy-cat city: Accreditation tactics in place branding". In P.O. Berg and E. Björner (eds.) 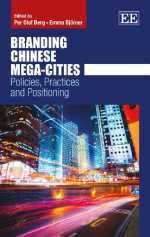 Branding Chinese Mega-Cities: Policies, Practices and Positioning. Cheltenham: Edward Elgar. 232-248. Ooi, Can-Seng and Munar, Ana María. 2013. "Digital social construction of a tourist site: Ground Zero". In A.M. Munar, S. Gyimöthy and L. Cai (eds). Tourism Social Media: Transformations in Identity, Community and Culture. Bingley: Emerald. 159-175. Ooi, Can-Seng. 2012. "Education and becoming an artist: Experiences from Singapore". In C. Mathieu (ed). Careers in Creative Industries. New York: Routledge. 254-269. Ooi, Can-Seng. 2012. "The Danish welfare model and the 'Singapore Inc' model". In L.H. Yeo and B. Turner (eds). Changing Tides and Changing Ties - Anchoring Asia-Europe Relations in Challenging Time. Singapore: The EU Centre in Singapore. 69-74. Ooi, Can-Seng. 2011. "Paradoxes of city branding and societal changes". In Dinnie, Keith; (ed.) 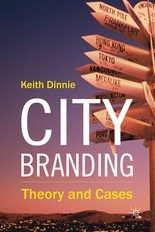 City Branding: Theory and Cases. Hampshire, UK: Palgrave Macmillan. 54-61. Ooi, Can-Seng. 2011. "The overseas constituency". In Tan, Kevin Y.L. and Lee, Terence(eds). Voting in Change: Politics of Singapore's 2011 General Election . Singapore: Ethos Books. 161-171. Ooi, Can-Seng. 2008. 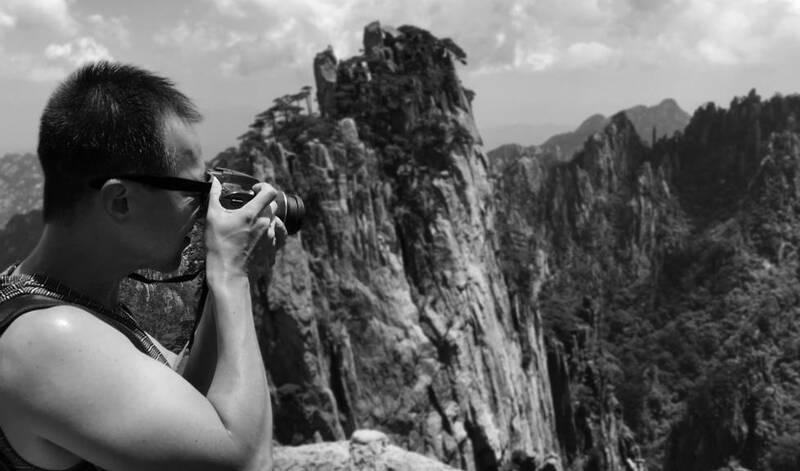 "The Danish seduction of the China outbound tourism market: new issues for tourism research". In Worm, V. (ed.) China Business Opportunities in a Globalizing Economy. Copenhagen: Copenhagen Business School Press. 171-191. Ooi,Can-Seng. 2001. "Dialogic heritage: time, space and visions of the National Museum of Singapore" In Teo, Peggy; Chang, T.C. and Ho, K.C. (eds.) Interconnected Worlds: Tourism in Southeast Asia. Amsterdam: Elsevier. 171-188. Ooi, Can-Seng. 1998. "Singapore". In Sachsenroeder, Wolfgang and Frings, Ulrike (eds.) Political Party Systems and Democratic Development in East and Southeast Asia, Vol 1: Southeast Asia. London: Ashgate. 343-402. Ooi, Can-Seng. 1997. "Experiencing Friendship: notes for the study of social relationships". In HM Dahlan, H Jusoh, Hing AY and Ong JH (eds.) Asean in the Global system. Kuala Lumpur: University Kebangsaan Malaysia Press. 176-190. Ooi, Can-Seng and Richard Ek (eds.). 2010. Cultural Unbound: Journal of Current Cultural Research , special thematic section on "Culture, work and emotion", Vol 2. Download. Ooi, Can-Seng and Juliette Koning (eds.). 2007. East Asia: An International Quarterly, special issue on "The business of identity", Vol 24, No. 2. Download. Ooi, Can-Seng and James Gomez (eds.). 2006. Copenhagen Journal of Asian Studies, special issue on "Stability, risks and opposition in Singapore", No. 23-2006. Download. Ooi, Can-Seng and Hing Ai Yun (eds.). 2004. Copenhagen Journal of Asian Studies, special issue on "Changing Asia", No. 20-2004. Download. Strandgaard Pedersen, J. et al. 2016. Examining the Variety of Contexts for Creativity, Cre8tv.eu WP 2.1.2 Report. Copenhagen: Cre8tv.eu. Access. Ooi, Can-Seng. 2014. Notes on the conceptualizations of culture in intercultural management. Center for Leisure and Culture Services Working Paper Series, September 2014. Copenhagen: Copenhagen Business School. 11pp. Download. Ooi, Can-Seng. 2012. Good tourism policies: Walking the tight rope. 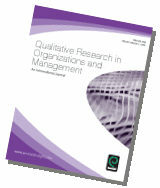 Center for International Business and Emerging Markets Working Papers Series, January 2012. Copenhagen: Copenhagen Business School. 11pp. Download. Munar, Ana Maria and Ooi, Can-Seng. 2012. What social media tell us about the heritage experience. Center for Leisure and Culture Services Working Paper Series, April 2012. Copenhagen: Copenhagen Business School. 18pp. Download. Ooi, Can-Seng. 2010. "Education and becoming an artist: Experiences from Singapore", CIBEM Working Paper November 2010. Copenhagen:Copenhagen Business School. Paper presented as "An art education, So what? The situation in Singapore" at the Careers in the Creative Industries Conference, Copenhagen, 10-12 May. Download. Koning, Juliette and Can-Seng Ooi. 2010. Awkwardness and what to do with it: Contemplating quality and trustworthiness in organizational ethnography. CIBEM Working Paper June 2010. Copenhagen: Copenhagen Business School. Paper presented at the 26th EGOS Colloquium, July 2010, Lisbon. 19pp. Download. Ooi, Can-Seng and Jesper Strandgaard Pedersen. 2009. City Branding and Film Festivals: The case of Copenhagen. Creative Encounters Working Paper #28. Copenhagen: Copenhagen Business School. 43pp. Download . Ooi, Can-Seng. 2009. Soft authoritarianism, political pragmatism and cultural policies: Singapore as a City for the Arts. Creative Encounters Working Paper #34; paper presented at the Government Encounters workshop. 4-6 May. Copenhagen: Imagine.. Creative Industry Research Centre. 25pp. Download . Ooi, Can-Seng. 2008. "Creative Singapore: Image and reality". Conference Proceedings of Arte-Polis2: Creative Communities and the Making of Place, Bandung (Indonesia), 8-9 August. B68 - B77. Ooi, Can-Seng. 2007. Chinese Tourists in Denmark. Creative Encounters Working Papers #5. Copenhagen: Copenhagen Business School. 19pp. Download . Ooi, Can-Seng. 2007. Framing the Chinese in International Business: Packaged Cultures and the Researcher, INT Working Paper. Copenhagen: Copenhagen Business School. 24pp. Ooi, Can-Seng and James Gomez. 2006. Singapore's Vulnerable Risk-Free Democracy, INT Working Paper. Copenhagen: Copenhagen Business School. 13pp. Download . Ooi, Can-Seng. 2006. The Creative Industries in Singapore: Freedom of Expression in a Soft Authoritarian Regime, INT Working Paper. Copenhagen: Copenhagen Business School. 18pp. Download . Ooi, Can-Seng and Snejina Michailova. 1999. "Methodological discipline in comparing emerging economies", IKL Working Paper 30. Copenhagen: Copenhagen Business School. Ooi, Can-Seng and Snejina Michailova. 1998. "Glocalisation dialogues: East Asia, Eastern Europe and their emergence". Paper presented at a IKL Seminar, Copenhagen Business School, May. Ooi, Can-Seng. 1997. "Singapore's economics of good governance". Paper presented at the ASEAN Inter-University Conference, Pekanbaru, Indonesia, June. Ooi, Can-Seng. 1996. "Renewing relevance of the family Singapore: challenges from everyday life". Paper presented at the Family Education Seminar Series, Singapore, 20 July. Ooi, Can-Seng. 2002. "National economic policies: Singapore, AFTA and FTA", Newsletter of the Asia Research Centre, No. 12, 3-12. Ooi, Can-Seng. 2001. "Culture as economic and political resources: re-constituting art and history in Singapore", Newsletter of the Asia Research Centre, No. 9, January 2001. 20pp. Ooi, Can-Seng. 2000. "Book review: the political causes of the Asian crisis", Newsletter of the Asia Research Centre, September 2000, 34-35.